February's here and with a new month, comes a new pile of books. 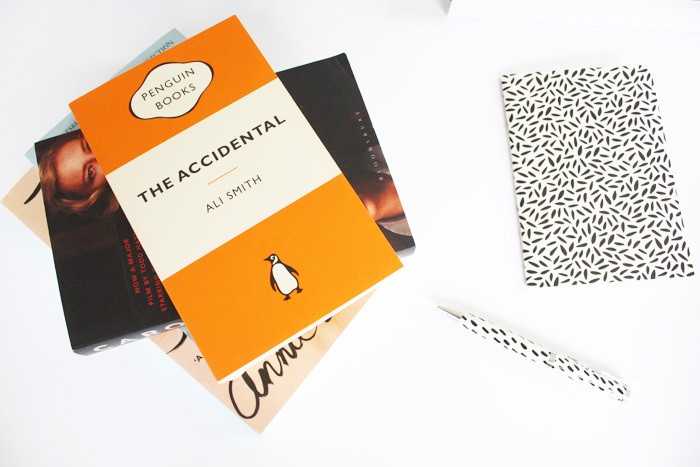 There's actually going to be a book post a week on the blog this month which I'm excited about. My love of books probably rivals my love of makeup so it's high time that was reflected around these parts. I'm also excited that this month all the books featured are by women which is quite possibly a first. Here's what I'm hoping to read during February..
Carol by Patricia Highsmith-I'm already reading this one and am loving it. In fact, I'm making a point of reading it slowly so I can savour every last piece of prose. Carol tells the story of Therese, a nineteen year-old stuck in a retail job for the holidays and a boyfriend who she's falling out of love with. One day she meets Carol, a soon-to-be divorcee and she is mesmerised. This book was quite controversial for its time, and was actually published under a pseudonym. It'll be interesting to see how these themes progress as the novel carries forward. The Accidental by Ali Smith-If you saw my Christmas video you will have spied this in there. After reading Ali Smith's short story volume, Public Library and really liking it I wanted to hunt down more of her books to read. According to the descriptions online, this one explores the idea that "seemingly chance encounters irrevocably transform our understanding of ourselves." This sounds like my cup of tea and as soon as I'm done with Carol I'll be picking this up. The Life and Death of Sophie Stark* by Anna North-This has been on my tbr for way too long so it's finally being tackled this month. It has high praise from Lena Dunham, among others and I trust Ms. Dunham's word so I'm sure this'll deliver. The summary is giving me Gone Girl vibes which ain't a bad thing by any means. I do love a crazy, wild Amy Dunne-esque protagonist. I'll keep you posted. -Have you read any of these books? What did you think of them?